BEIJING: Taking a strong note of remarks by the Indian army chief about China and the Donglong border area, a Chinese Foreign Ministry’s spokesperson Monday said the negative remarks by a senior Indian official were against the consensus reached between the heads of the state of two countries and it could not help to preserve tranquility and peace of the border areas. 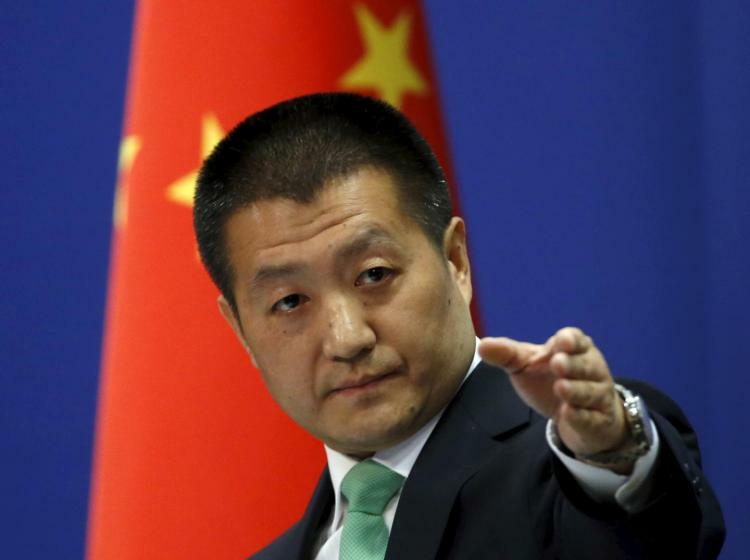 “The nonconstructive remarks by the senior Indian official not only go against the consensus reached between the two heads of state but do not conform to the efforts made by the two sides to improve and develop bilateral relations,” Lu Kang said during his regular press briefing. Responding to a question about the statement of Indian army chief in which he said China was a strong country but India was not a weak country and admitted that Indian army entered the territory which did not belong to Indian during Donglong standoff last year, he said the Indian army chief remarks could not help to preserve the tranquility and peace of the border areas. He asked the Indian military to learn lessons, abide by the historical conventions between the two countries and earnestly uphold peace and tranquility of border area beside creating a sound atmosphere for the positive development of China-India bilateral relations. “We require from the Indian military to learn lessons, abide by the historical conventions, earnestly uphold the peace and tranquility of the border area and create a sound atmosphere for the positive development of bilateral relations,” he added.